Having chickens has never been so easy and fun. 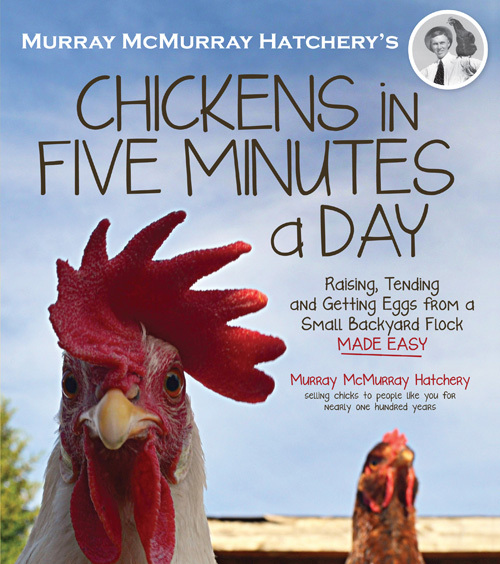 This from-zero-to-go guide to raising a flock of chickens in your backyard gives you the easiest route to amazing fresh eggs and tried-and-true short cuts so tending chickens is a snap. McMurray Hatchery has been sending out hardy, healthy and terrific birds for home flocks for nearly 100 years and is one of the biggest and best names in the industry. We ship more than two million chickens and other fowl each year. With this comes knowledge on how to raise fun and productive chickens the easy way, from simple feeding to the best coops to easy watering, hygiene, and pest control. Raising chickens is one of the most fun and rewarding home farm activities you can share with your family. The great flavor of the eggs, as reflected by the bright orange color of the yolks, is unrivalled by those found in supermarkets. Chickens are also great pets, fun to watch and fun to have around. Now it’s easier than ever with the smart techniques and approaches prescribed by one of America’s best hatcheries. Note: This book only covers chickens for eggs, not for meat.